Fantom was delighted to receive funding as part of Year of Young People 2018 for this Scottish Natural Heritage project. 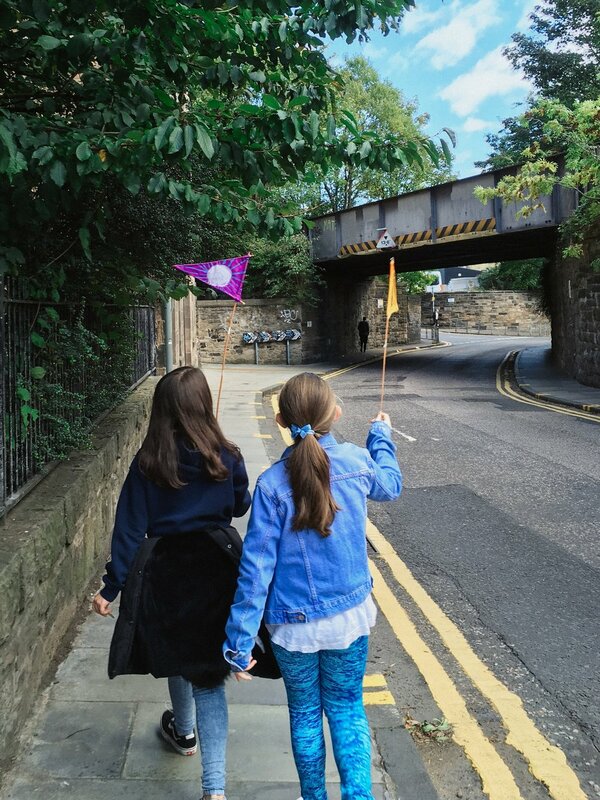 Working alongside partners Scottish Natural Heritage, Young Scot Holyrood Ranger Service and Abbeyhill Primary School, Lotte Kravitz and young artists from Primary Seven developed this art and nature project to connect local young folk to inspiring green spaces. To develop artistic reactions that would showcase and communicate the stories and incredible biodiversity of the park; to connect young people in the Holyrood, Abbeyhill, Leith and Meadowbank area with Holyrood park and Arthurs seat; to offer fantastic creative activities that will foster a sense of pride in and ownership of our local green space. 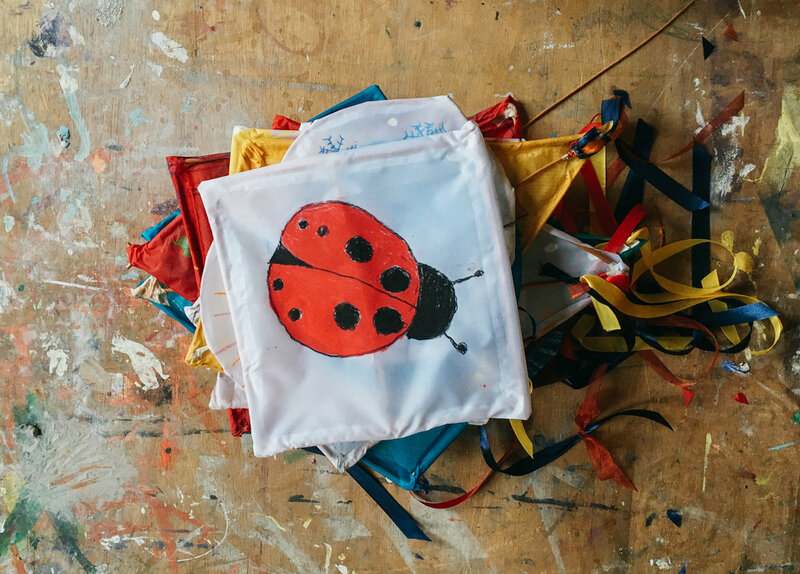 Lotte taught primary Seven to make their own concertina-bound sketchbooks, these were then taken out on a visit with the rangers to record the stories and facts from the park. Working from these sketches and notes, the young artists developed the idea of making an installation of kites that were exhibited in the school as part of the Colony of Artists weekend. During the exhibition Lotte and Primary seven class led guided walks to the park to see the second part of the exhibition – a permanent sculpture in the Ranger Centre. Our core group of young people aimed to publicise and champion Holyrood Park – a wealth of easily accessible fairly wild space – to all 215 of three to twelve year olds in the Abbeyhill Primary School and to the estimated 500 other local young people during our final festival exhibition and fun participatory event as part of community festival Colony of Artists on 22 and 23 September 2018. Starting by making sketchbooks to record ideas, the class then met with the rangers to investigate the park, culminating in the making of kites, directional flags to guide visitors to the park, and a permanent sculpture that is installed in the Ranger centre to inspire future visitors. Young Scot, Scottish Natural Heritage, Holyrood Park Ranger Service, Ettie Shattock, Iliyana Nedkova, Theresa Pickles, Mr Martin, Youth leads Hannah and Lola and Abbeyhill Primary Seven.